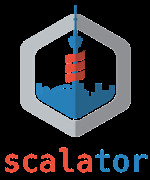 Scala Toronto (scalator) is a great place to learn about the Scala language, libraries, Lightbend's Reactive Platform, and Data Engineering topics. We also promote about related progressive technologies and ideas! All skill levels are welcome. Scala is fast emerging as one of the most popular languages to write data streaming platforms in. Implementing data platforms borrows a lot of concepts from Hadoop and the Big Data 1.0 space, but more often we see responsibilities blur with modern application development. For example, microservices can be thought of as long lived streaming services that consume and produce an unbounded set of data. A convergence of best practices and principles from the Big Data and Reactive Microservice world are enabling us to build high throughput, low latency, stateful, and ML-driven systems. Join us to learn more about using Scala for the development of modern applications and data platforms. Want to speak at Scala Toronto? Submit a talk using our talk submission form.